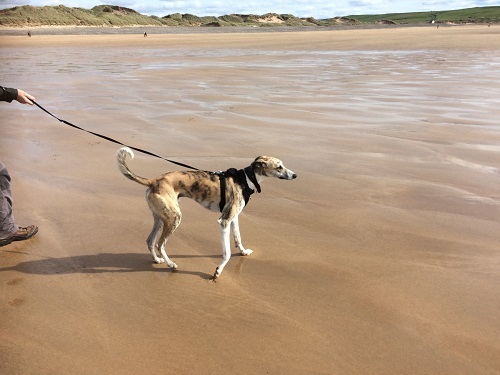 An 18 month old Lurcher who likes to go to the beach but doesn’t like getting his feet too wet! Boost enjoys walks at Badbury Rings, Studland and the Purbecks and would suggest Agglestone Rock as a great dog walking site in Dorset. 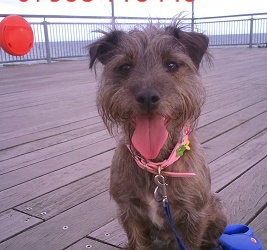 This 3 year old Skye Terrier cross likes to walk in many different places, although she is not a beach lover and prefers woodland walks. Lilly regularly walks at Canford Heath, Poole Park and Upton Country Park but likes to go further afield at weekends. 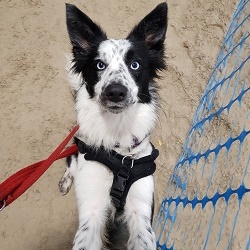 Mabel is a 1 year old Border Collie from Dorchester who lives with Zoe, a 5 year old Border Collie, Scooby and Ellie, both Terriers. They enjoy walks on the beach, particularly Weymouth Beach. Ruth told us that she loves doing agility with her Border Collies. This 7 year old Jack Russell and Patterdale cross lives with Mickey. Marianne told us that they walk across Dorset and love finding new walks at the weekend. During the week Poppy and Mickey go to the Parks and Beaches in Bournemouth. Mickey is a 2 year old Springer Spaniel and Cocker Spaniel cross. 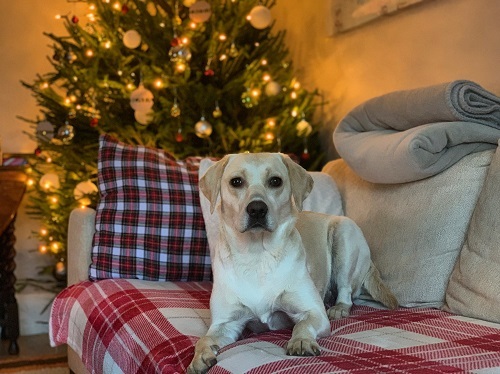 Kaia is a 1 year old Labrador from Poole who regularly walks at Canford Nature Reserve, Delph Woods and Branksome Rec Grounds. Laura told us that Kaia loves water, running around and playing fetch. She is a real sweetheart and makes friends wherever she goes. 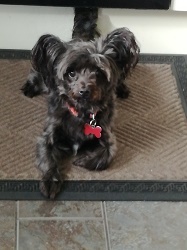 Bailey is a Jackapoo who loves all dogs and people. 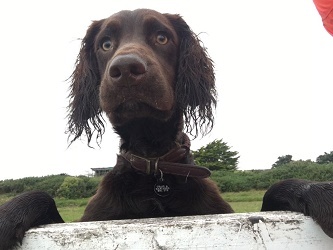 This 5 month old regularly walks in Wareham Forest, Weymouth, Morton Forest and Briantspuddle. Skye is a 2 year old Border Collie and Brittany Spaniel cross who enjoys walks on the beach and fields and is dog friendly. Molly and Tina a 11 year old Goldendoodle and 11 year old Bichon Frise from Bournemouth would recommend walks on the beach. Rex the Border Collie likes long runs and at 1 years old is still in training. Morgan loves to run in fields, on beaches and in woods. This 8 year old English Springer Spaniel is new to area and still looking for safe places to run off lead. Our ‘Out & About’ pages have lots of ideas for great dog walks across Dorset. Roxy and Lexi a 12 year old Yorkie cross and a 3 year old Maltese cross from Christchurch. Alex told us that Roxy is blind. They regularly walk at Highcliffe and the New Forest and their favourite place is Avon Beach. Loki and Odin are 11 month old Labradors from Poole and would recommend Studland as a great dog walking site in Dorset.